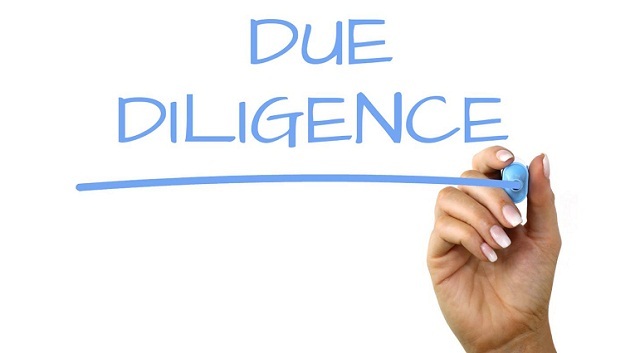 Due diligence is a process that is associated with the research and analysis performed prior to an acquisition, a business partnership, an investment or a bank loan for determining the financial integrity and compliance of a subject of due diligence or if there are any kind of major problem areas or potential issues. A prospective acquirer or an investor needs to obtain all necessary information prior to making the investment. It is also important to secure a good deal and to steer clear of mistakes. If you are looking to carry out a due diligence inspection but are not sure as to how it works, you can get in touch with a professional consultant who excels at managing and offering due diligence services and financial due diligence solutions. A professional due diligence company can offer dedicated transaction consulting and advisory solutions that in turn can help in managing financial, tax, legal and environmental due diligence aspects of a company. They can also perform business analysis for a business organization when its management is looking to make investments, develop strategic partnerships, acquisitions and mergers or trying to boost the effectiveness of the business organization in the existing portfolio or business unit. Such a firm can carry out due diligence with the main objective of generating valuable and accurate due diligence reports so that their clients can benefit from their business analysis and other related expertise. Hence it can be said that due diligence is an essential component of any company’s decision-making as well as negotiating process especially in a merger or acquisition scenario. It is important that a business firm has the right kind of due diligence services that can enable it to develop rewarding partnerships and benefit from such solutions both financially as well as strategically. They can offer an unbiased perspective relating to the subject of the due diligence. Such services also make it possible for the company to make the best use of its resources. One of the reasons why most companies hire due diligence service providers is that they deliver value-added services which can enhance the quality and efficiency of client business decisions thorough the smart use of technologies, finance and corporate strategy. It also helps a business enterprise to summarize numerous complex issues into easily understood terms. Companies that excel at offering due diligence services can also help their clients out when they are looking for financial due diligence services. Such expertise is often required by businesses when they are looking to make major agreements with another client or entity which in turn can lead to investments. Unless the financial documents are analyzed carefully, they may pose as a risk to the main business firm. A professional due diligence service provider can thoroughly evaluatea proposed deal simply by analyzing all the present as well as historical financial statements. They can also look through the important agreements and also review the possible risks that the business firm might have to face. It is due to this reason that such services are regarded with such great importance.